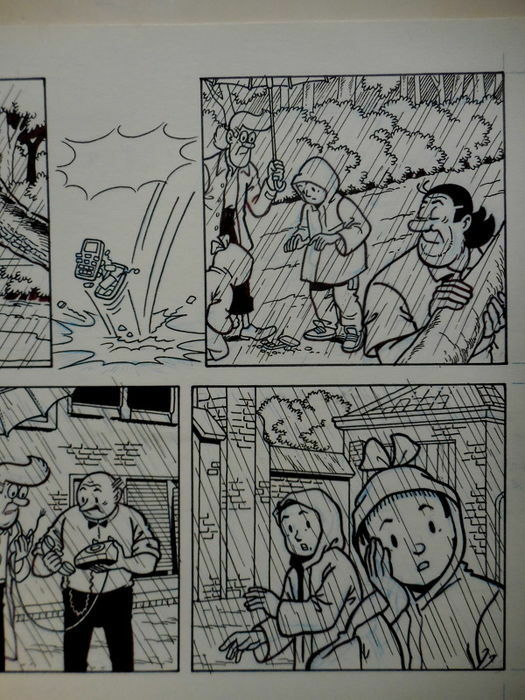 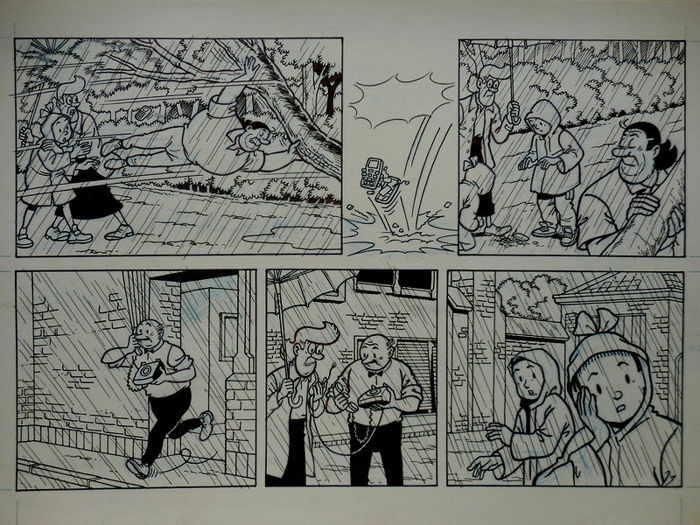 Strips 25 and 26 from the story ‘Verraad op de Veluwe’. 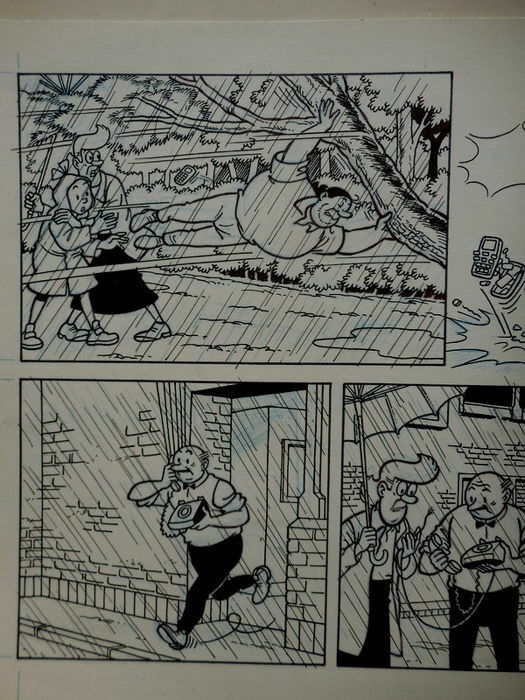 Jethro just barely saves Suzy and Sidonia from a falling branch. Jethro’s cell phone is broken, and Ambrose arrives with an old device.